I'm glad that only one examination left. It will be head on next wednesday which means I still have plenty of time to prepare my weakest subject ever. Yup it's maths. But whatever. The most important thing is not about the grade. It's about whether you've put any efforts on it. If the the final results are not that satisfactory, it's totally fine. Because you've work hard and it's all that matter. This is a very important attitude for every single person. One failure can never define a person. Remember that! Let's get back to the outfits, it's a sporty look for spring/summer. 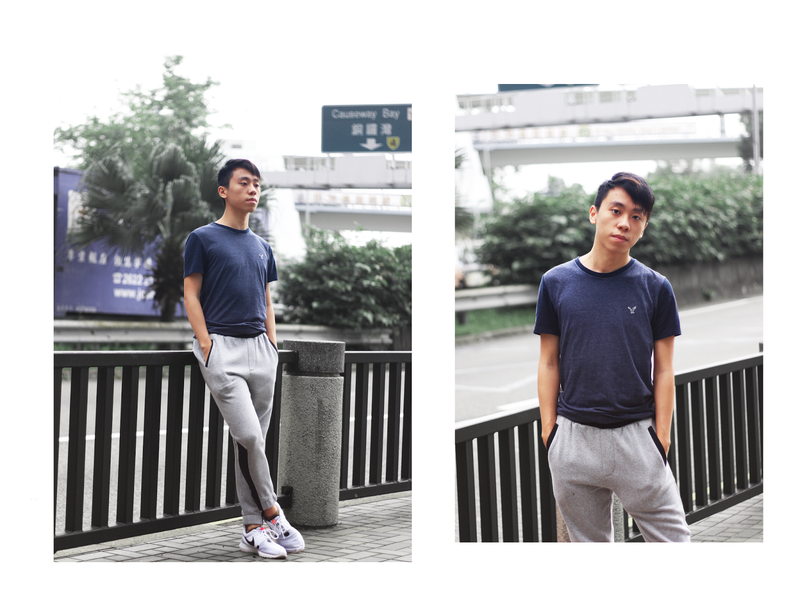 Jogger pants are an essential wear for sporty looks. Since I don't have a lot of joggers, I've bought it from TOPMAN. This joggers are very perfect for my body! It is grey and black in colours. You guys know that I'm obsessed with these colours. Also, I think sporty looks are very important for man. The main reason behind is that sporty looks often give a good impression for lady haha. It can make a guy "manly". Another reasons for wearing joggers is that it is very comfortable! Most probably because it's very soft. I highly recommend people wearing jogger pants if you want be more comfortable. 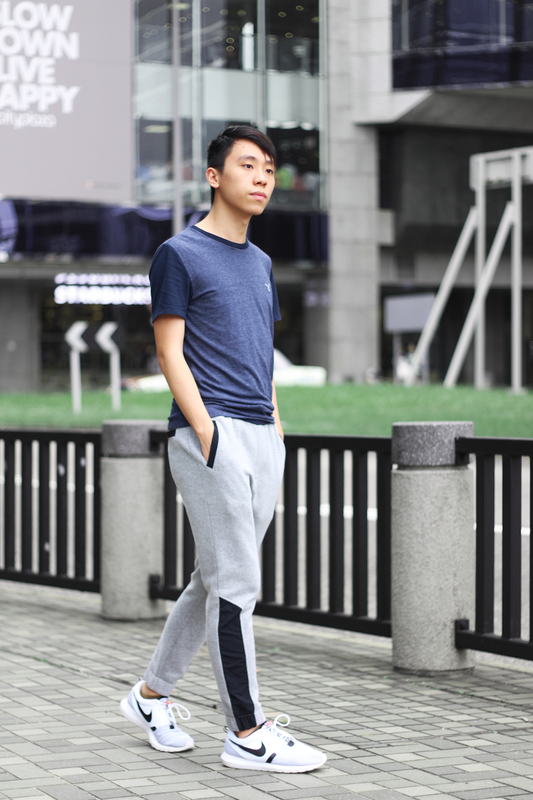 The way to style joggers is very simple and easy. You can rock the jogger pants in both summer/winter. Basically you can wear it in any seasons. Wearing sweaters or hoodies in winter. 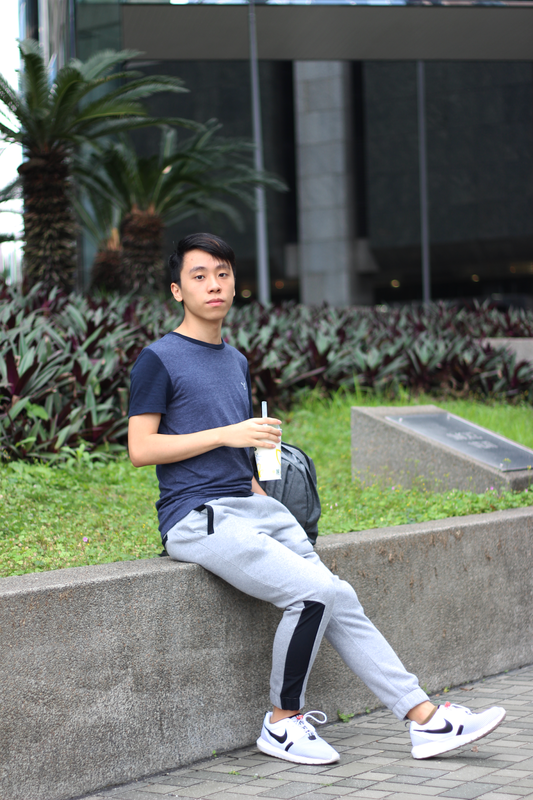 On the other hand, you can wear joggers with simple t-shirts in summer. For the shoes, you can wear sneakers. Any shapes of sneakers are acceptable. Personally I think wearing Nike's roshe run is the perfect fit. You can also wear joggers with sandals! I've tried this last year and it's actually quite chic! 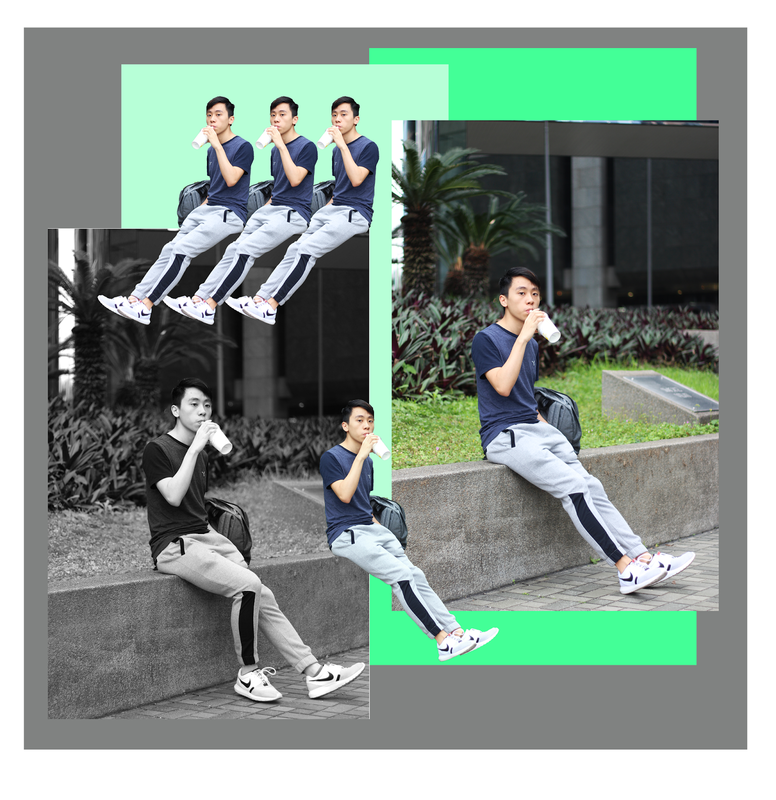 If I have time, I may make another sporty look with joggers and sandals! By the way, I've tried to edit photos in a more creative way. Let me know what do you think of the photo with numerous me haha. Give me some feedbacks on the comment sections below! casual perfection! I love that joggers are like "fashionable" right now-it means I can be comfy outside of the house! Pretty cool look! Love these pants. I love when gymwear crossing over to street style - this is a great look on you! Such a nice sporty look, love it! cool photography! i really like your joggers! i need to get my husband some! What a perfect relaxed look! Love the comfortable and relaxed vibe of your outfit. Love the outfit & the post. The design is awesome. & good luck withy our last exam! I have exams coming up soon. I’ll have to remember your words of wisdom! This sporty look suits you! Such a great Spring ensemble! Love the jogger pants! Cool sporty look! Love your pictures Daniel! Your outfit is on point! Love this casual look you have here Daniel. Happy Monday! Love the pants, it matches with the shirt and sneakers! Great styling! You somehow made joggers look majorly fab. LOVE IT! Love your menwear style, simple but look good on you. Thank you for visiting my blog Daniel. You always look great with white sneakers Daniel, really! 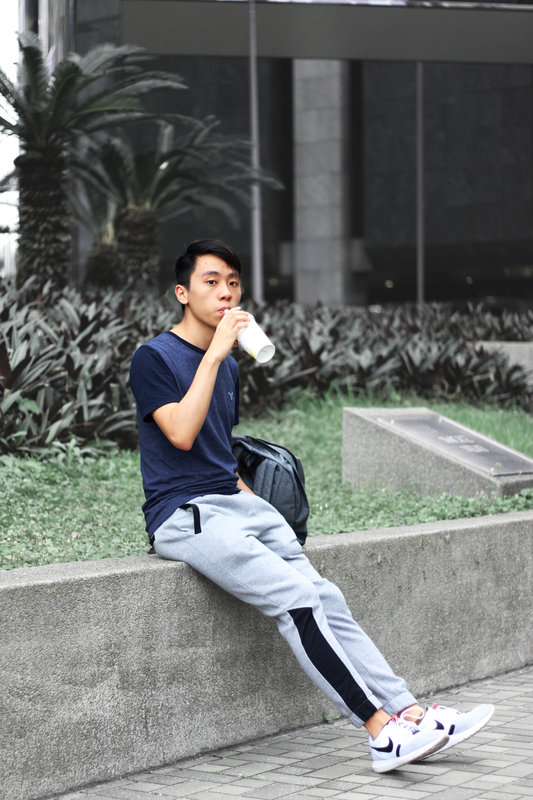 I like how you match the jogger pants with sneakers, perfect !